Mobile operator Idea Cellular Ltd has officially announced Himanshu Kapania is the new managing director of the company effective today. Kapania, who was the Chief Operating Officer, takes over from Aditya Birla Group's telecom head Sanjeev Aga effective from today. Ambrish Jain, Director - Operations in charge of the North and the East circles is now the Deputy CEO. Sanjeev Aga, who is credited with launching Idea Cellular, will continue as a director on the board of the company. 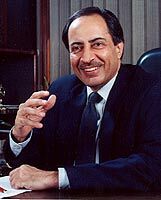 He was appointed as the managing director of Idea Cellular for a period of five years effective from November 1, 2006. According to the company's 2009-10 annual report , he received Rs 61.02 million in remuneration (inclusive of salary, benefits, bonuses and pension). Aga was paid a sum of Rs 18.41 million as a performance incentive in that year. He is on the board of 6 other companies and the Vice Chairman of the Cellular Operators Association of India (COAI). The company has recently increased the maximum number of directors from 12 to 16.